How does the Orlando Dermatology Center define fungal infections? How do dermatologists treat fungal infections? 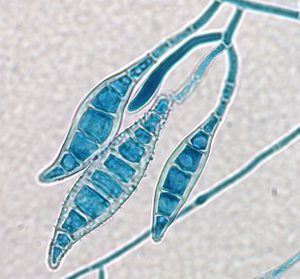 Fungal tests are used to help detect and diagnose a fungal infection, to help guide treatment, and/or sometimes to monitor the effectiveness of treatment. For many superficial skin and yeast infections, a clinical examination of the affected person and microscopic examination of the sample may be sufficient to determine that a fungal infection is present. The specific organism is not always identified. The doctor has several topical and oral antifungal treatment options and bases the choice(s) on practice guidelines and experience. Tests for fungal antigens and antibodies may be used to determine if an individual has, or recently had, a specific fungal infection. They are more rapid than fungal cultures but only test for a specific fungal species, so the doctor has to know what fungal organism to test for. Many people have fungal antibodies from a prior exposure to the organism so that a single antibody test may not confirm the presence of a current infection. Sometimes, blood samples are collected 2 to 3 weeks apart (acute and convalescent samples) and tested to see if antibody levels (titers) are changing; the evaluation of these results may take several weeks.